(Ann Arbor) development that could replace the semi-conductor diode of 1950s, the circuit technology standard since its invention, scientists at the University of Michigan Ann Arbor have invented a “laser” that uses electric charge instead of light. It could lead to smaller, lighter, more durable, and vastly more energy efficient, wireless circuit components. “For the past 50 years, we have relied on lasers to make coherent light and now we have something else based on a totally new principle,” says researcher Pallab Bhattacharya. 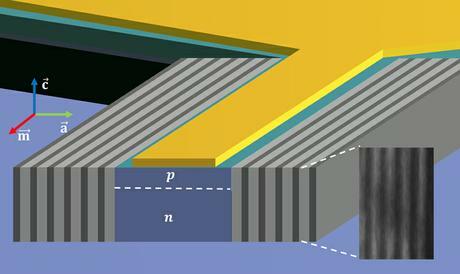 The electricity beam that stimulates the transmission of coherent light eliminates the necessity of wires on computer components. In other words, the breakthrough amounts to wireless power transmission on an extremely small scale, notably at room temperature instead of below freezing. It could revolutionize semi-conductor diode technology by making computer components completely wireless.